We are back with a new Picture Book Highlights, the series where we put the spotlight on a brand-new book that has been ordered for all of our libraries. 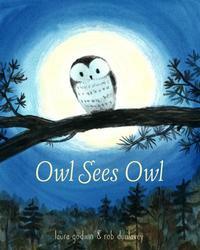 This time it’s Owl Sees Owl, written by Laura Godwin and illustrated by Rob Dunlavey. A little owl, tucked in a tree nest with her mama and siblings, leaves for an evening flight. The text is deceptively simple, with only 4 words per spread. It is told as a reverso poem: midway through the story, as the little owl heads back home, the words are repeated in reverse order, and the story comes full circle. There is much to love about this story of exploration and comfort in returning home. The illustrations complement the text beautifully. The palette is soaked in night time blues, with some fall touches of yellow, orange and red, and much light from a large full moon. 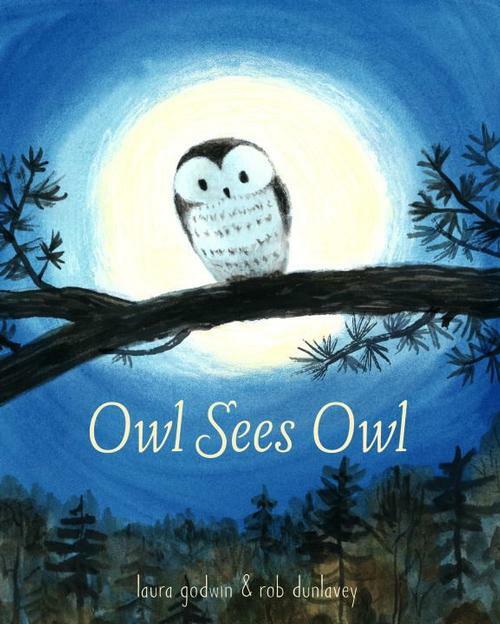 This is a perfect bedtime story to share with your own little owls! Visit your neighborhood library to find this book and more!